Say hello to Wunderfitz, your dictionary and translation app! 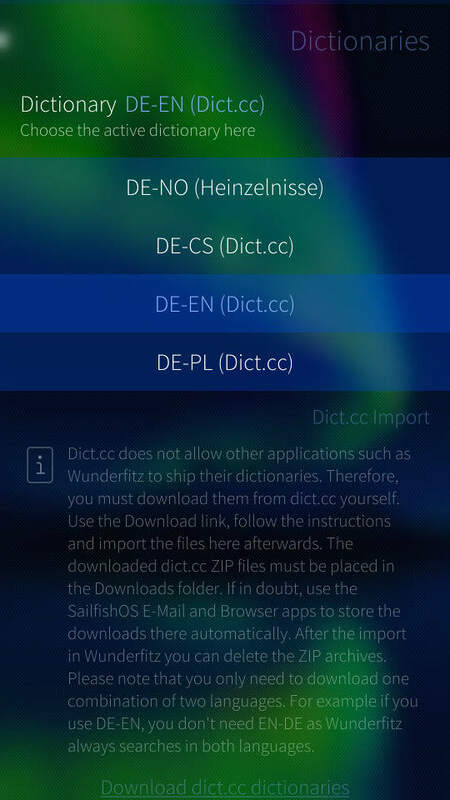 Wunderfitz supports dict.cc dictionary export files and already includes the Heinzelnisse Norwegian-German dictionary (heinzelnisse.info) - fast and easy-to-use! 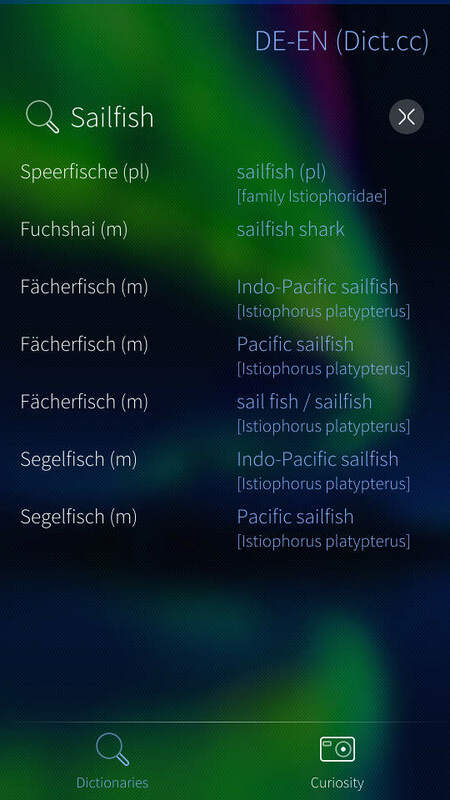 Offline Dictionary: Use your device as your pocket, multi-language dictionary - even without internet connection! 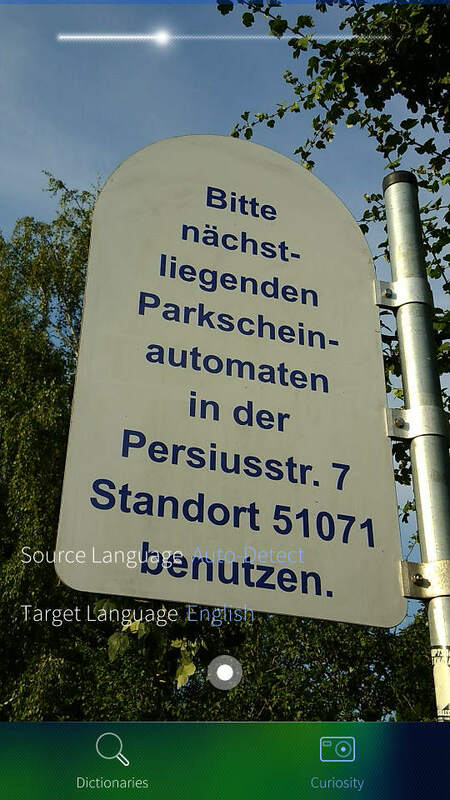 BETA: Translate text from picture: Take a picture and let Wunderfitz translate the text on it (requires internet connection) - powered by Microsoft Azure Cognitive Services. This feature is Beta! This means that there is no guarantee that it works as you wish or that it will continue working forever in this or a future version of Wunderfitz. All dictionaries are imported for offline use. Therefore you don't need any internet connection when using it. Please follow the instructions in the app to be able to use them. Wunderfitz is and will remain Open Source Software under the conditions of the GNU GPLv2. However, in order to support the development of Wunderfitz we'd like to ask you for a contribution - you could also call it royalty - before you can run it after a trial period of 14 days. As mentioned, you have a testing period of 14 days after the first run of Wunderfitz Take your time to test the application and ensure that it fulfills your needs and that you really like it. There are no limitations to the software during this time - simply press the button "Continue Testing" on the initial screen. If you decide to purchase a contribution key in order to keep on using Wunderfitz beyond the testing period, please choose a contribution type. You have the choice between 4 different contributions: S, M, L, XL. No matter which size you choose, the purchased key will unlock the complete application after the trial period. It's up to you to decide how much the app is worth to you. Moreover, feedback about Wunderfitz is always appreciated (good, bad, improvement/feature ideas etc.). As mentioned, you can contribute with a translation, a new feature or even a bugfix. The sources are on GitHub at https://github.com/Wunderfitz/harbour-wunderfitz. Please acknowledge the GNU GPLv2 before contributing/forking. Thanks to all new and especially to the existing contributors! Best dictionary app ever! Thanks a ton! Great app. Thanks for creating and sharing.